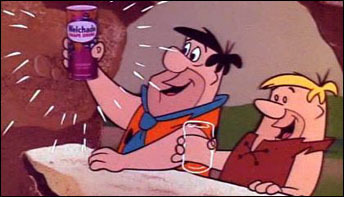 When Miles Laboratories released Flintstones Chewable Vitamins in 1968, there were Fred, Wilma, Barney, Bamm Bamm, Pebbles, Dino and Fred’s car but no Betty. 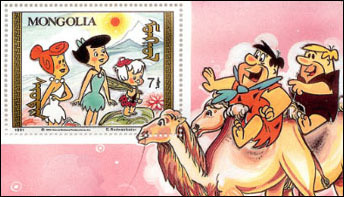 In February 1991, Mongolia issued a series of commemorative stamps featuring The Flintstones to generate income through sales to people who would buy them – but never use them. 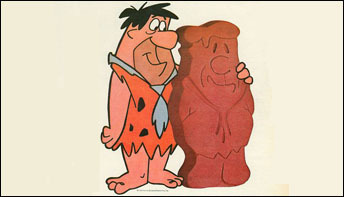 A tribute to one of the legendary sponsors of The Flintstones. 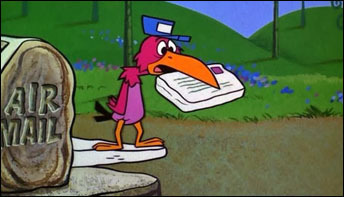 Three cheers to Welch’s Grape Juices, Jams and Jellies. 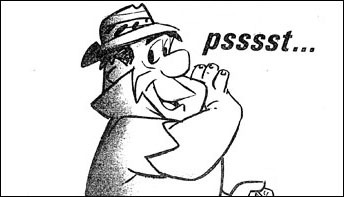 Yabba-Dabba-Do! 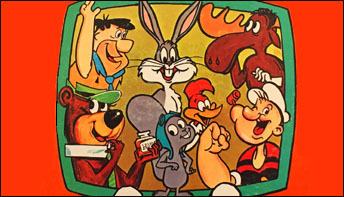 Golden Records First (and Last) Cartoon Music Compilation – Four decades of animation, combined into just one eclectic album in the early seventies. 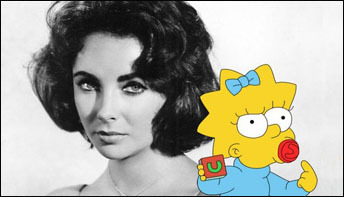 Actress Liz Taylor supplied the voice for Maggie Simpson’s first word in The Simpsons episode “Lisa’s First Word” in December 1992. 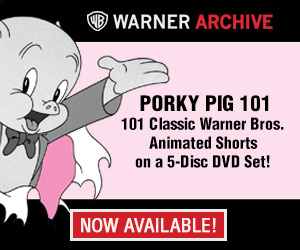 More material from the Hal Humphrey file at USC. 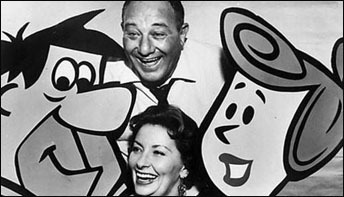 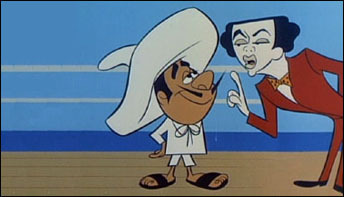 This week a few things relating to the first Hanna Barbera prime time series, The Flintstones, Top Cat and The Jetsons. 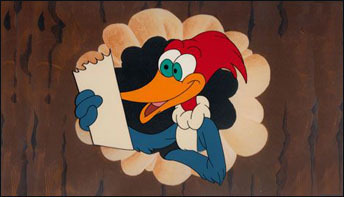 Animator Dave Spafford created three versions of Woody Woodpecker – one for each nominee – to announce the winner of the 1991 Academy Award for Best Cartoon Short.